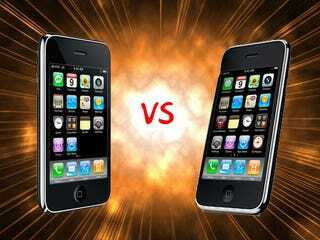 Cheap iPhone 3G or iPhone 3GS? Last week I posed the question: Palm Pre or the new iPhone 3G? According to the results, 44% were planning to get the new iPhone 3GS. Palm Pre or The New iPhone 3G? At WWDC today, we learned that the original iPhone is dropping in price to $99. We also got a clear picture on how the new iPhone compares with the older 3G version. With this new information in hand, I'm curious to know whether or not your opinion has changed. So, are you still going to get the iPhone 3GS, or is the cheaper iPhone 3G a better choice? What about the Palm Pre?